Qantas will operate its proposed three-times-weekly Sydney-Osaka flight as a year-round service from mid-December. Originally, the only direct flights between Australia’s largest and Japan’s second largest cities was going to operate as a seasonal service running from December 17 2017 to March 24 2018. However, Qantas said on Thursday it would become a permanent part of the schedule beyond March 24 after a better-than-expected response from the travelling public and support from tourism bodies and Osaka Kansai airport. 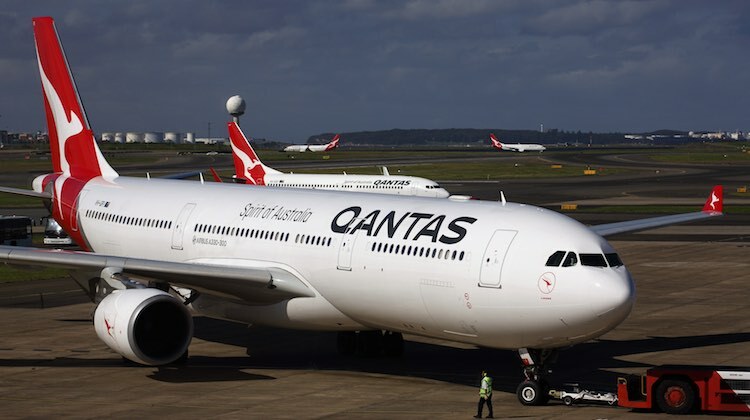 ￼“When we announced the direct seasonal service between Sydney and Osaka in July, we knew it would be popular with our customers, including those travelling from New Zealand, who wanted another gateway into Japan,” Qantas international chief executive Gareth Evans said in a statement. On March 25, Qantas is replacing one of its daily Airbus A330 Sydney-Singapore rotations with an Airbus A380 service operating Sydney-Singapore-London Heathrow. It is likely that the freeing up of that A330 has allowed Qantas to extend Sydney-Osaka to year-round. Qantas will mark 70 years of flying to Japan in December. In addition to the upcoming start of flights to Osaka, Qantas also has daily flights between Sydney and Tokyo Haneda, as well as flights from Melbourne and Brisbane to Tokyo Narita. Jetstar also flies to Tokyo from Cairns and the Gold Coast and to Osaka from Cairns. When the flights were first launched in July, a Qantas spokesperson told Australian Aviation via email the flights would be operated largely by 297-seat A330-300s but with some Monday flights operated by 271-seat A330-200s according to operational requirements. The airline also flew to Osaka Kansai in the mid-1990s operating Boeing 747s on a Sydney-Kansai-Brisbane-Sydney rotation (the inaugural flight flew into Kansai on the airport’s opening day of September 4 1994, and was operated by the Wunala Dreaming–painted 747-400, VH-OJB). Qantas then switched to a Cairns-Kansai schedule (with 767-300ERs) and also briefly operated Melbourne-Kansai flights (again with 767-300ERs). Figures from the Australian government’s Bureau of Infrastructure, Transport and Regional Economics (BITRE) showed the number of passengers travelling between Australia and Japan rose 10.6 per cent to 1.3 million in the 12 months to June 30 2017. Japan is Australia’s 10th largest international passenger market, based on uplift and discharge data. Nice, now to start Melbourne – Osaka. Linking the 2 food cities. Speaking of the A380, OQK returned from maintenance in Manilla last night. Does anyone know if it was repainted in the new livery? Mmm so when is Qantas going to fit premium economy to the A330? City is spelt ‘Manila’, IATA Code MNL……..